You know ikat…it’s that hip new design that’s really not new? Yeah, well we’re in love with it. And if you throw some Mickey Ears on it? So much the better. 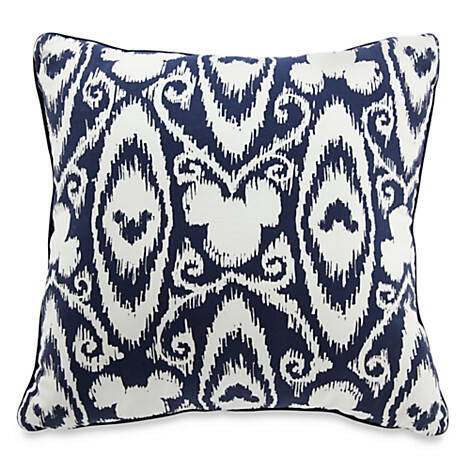 We’re ready to snuggle up and say “Hello, Naptime!” with this Mickey Mouse Ikat Pillow. It has a super cool stripey other side that’s presh, too!